Telenor Pakistan is looking for diverse, culturally aware, agile, well rounded and problem-solving undergraduate and postgraduate students for Telenor Pakistan Internship Program 2019. 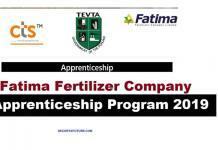 The internship is a great opportunity for students and fresh graduates. Telenor Pakistan gives you the opportunity to become a skilled professional in your chosen field of interest. Similarly, this Internship Program is a paid full-time Internship and as an intern, you should be prepared to work in a fast-paced team environment. 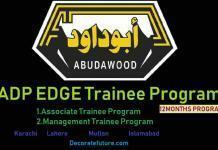 Here you should expect to gain valuable career building and networking skills. The Telenor Internship In Pakistan is for those who wish to work in a challenging environment and bring fresh perspectives on a day to day matters. 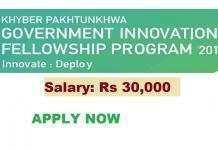 The internship program Paid Internship Program in Pakistan and is available only for selected Cities of Pakistan. Business Solutions, Business Development, Customer Champions, B2B Sales & Services, All Circles (South/Central/East & North), Customer Care, Channel Planning, Product Development, BI, Marketing, S&D Planning, Segments & Products, Government Affairs, Internal Communication, Sustainability, Legal, Regulatory Affairs, Digital Products, Digital Partnerships, Mobile Agriculture, Corporate Strategy and Transformation, Finance, Supply Chain, Business Planning, Talent Acquisition, Organizational Development, Business Partnering, RF Planning, Service Operations, Software Engineering, Network Planning & Circle Technology. Create a meaningful experience – This experience will show future employers that you not only have theoretical knowledge, but can also use it in practice. Explore – Explore different areas within the industry which could provide new direction for your future career. Learn, Learn, Learn – Get to learn about an industry, the organization, and specific functional area. Polish your resume – Add a multinational internship on your resume to increase your employability by gaining competitive advantage for your future employment. 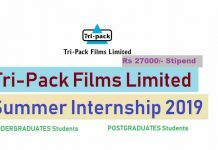 Be innovative – Showcase your potential during the internship. Education: Should be a recent graduate/post-graduate or currently enrolled in the last semester of a graduate/post-graduate program. The last date to apply for Telenor Pakistan Super Internship Program 2019 is 26th April 2019.